Providing quality care within your home. ”Our dedicated staff are committed to making a positive difference to the lives of the people we support. At Allander Homecare we recognise that many people, whether through illness, disability or age, require additional support in order to maintain their independence within the comfort of their own home. Our team work together to deliver the care and support that allows clients to do this as safely and securely as possible. We help them to reach their full potential, with a team of well trained staff, who care and believe that the people we support’s voice should be central to the way they work. 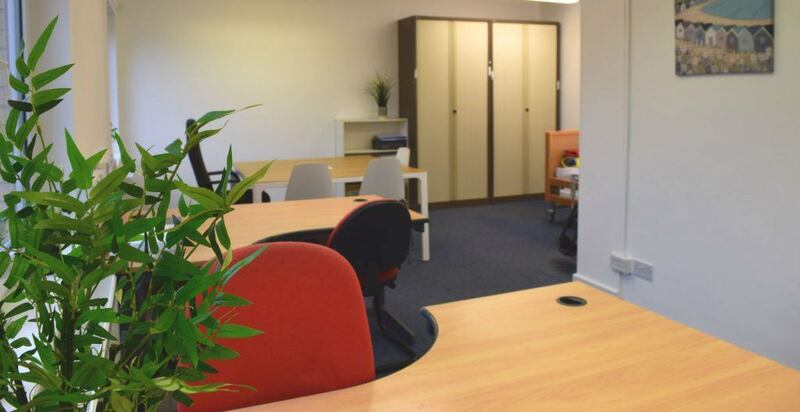 We also understand that all clients are individuals and we are dedicated to providing a service that is tailored and person centred to suit a client’s needs both emotionally and physically, whether for a short or longer term. We offer a unique service of tailored care visits from 15-30 minutes to full live in support. Our colleagues are at the heart and soul of our organisation and through teamwork, trust and empowerment everyone plays a vital part in helping us to achieve our purpose – to deliver the highest quality of care and support that empowers everyone to a live a valued life, the life they choose. Our vision is to help the people we support to maintain and improve their quality of life by providing the resources, information, and inspiration they need to stay fit and well, both mentally, and physically. The way we achieve this is guided by our shared values. These values influence and guide our behaviour, shape the decisions we make and inform how we treat our colleagues and the people we support. Competence – Underpins our ability to deliver the highest standard of care that meets all regulatory requirements, delivered by our qualified staff. Partnership – We work effectively as part of a team. Communication – We listen, reflect and continue to improve our practices. 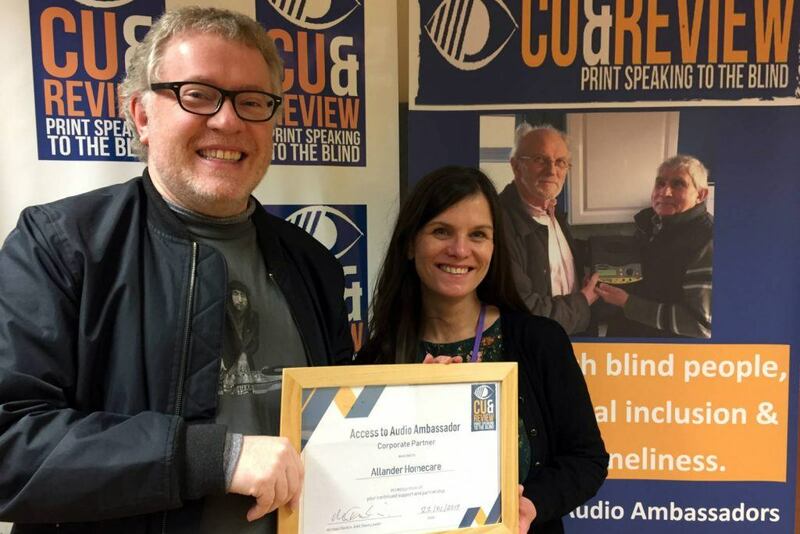 Our vision is to help the people we support to maintain and improve their quality of life. If you have any questions about home care or have a specific request get in touch. We're here to help you. Call us on 0141 942 1001 or use the link below. 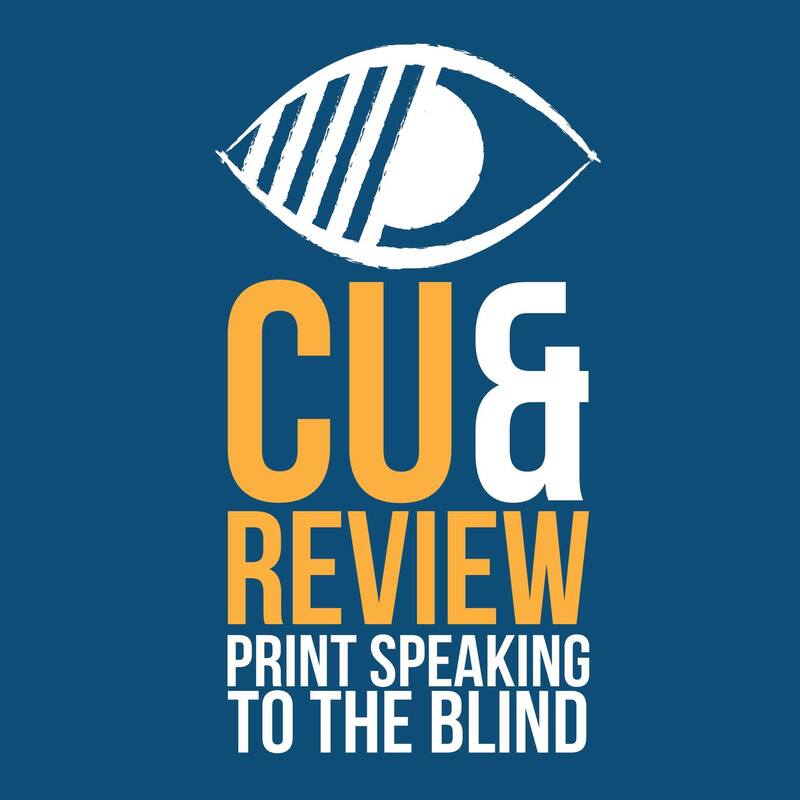 Cue and Review are a talking newspaper service for the visually and reading impaired and the service is completely free to use. Volunteers read and record articles daily and weekly, which are then uploaded to the internet. Allander Homecare celebrate 10 years providing care at home. 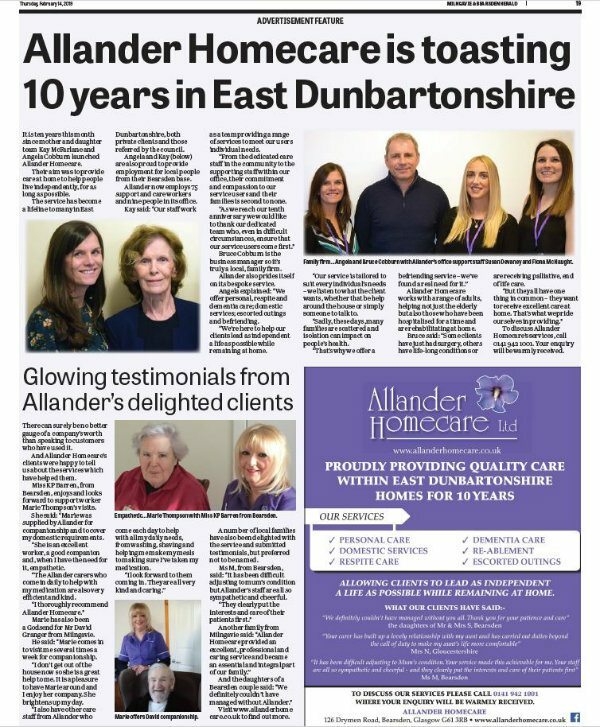 It is ten years this month since mother and daughter team Kay McFarlane and Angela Cobburn launched Allander Homecare. Their aim was to provide care at home to help people live independently, for as long as possible. Get in touch to discuss your homecare requirements. Copyright 2018 Allander Homecare Ltd. All rights reserved. Allander Homecare Ltd is registered in Scotland. No. SC355440.